LARM (Latin American Relocation Management) the only relocation company with offices in Latin America and the Caribbean was founded in 1997. This 2017 we are celebrating 20 years of fulfilling our mission, helping families settle in the countries where they have been assigned and ensuring they live a smooth relocation experience from start to finish. To celebrate these 20 years, members of the Board, shareholders and representatives of each country met in Miami, where a dinner was held at the PAMM (Perez Art Museum Miami). 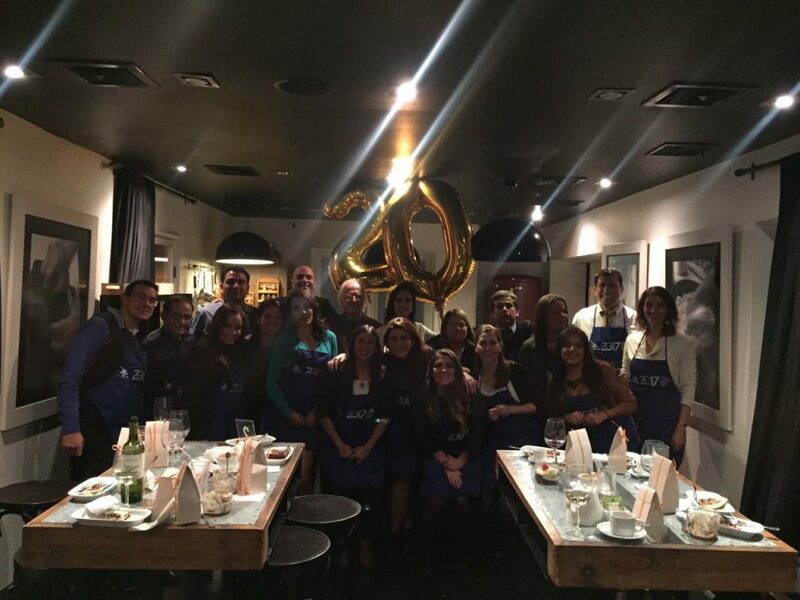 Also LARM Chile had an entertaining activity cooking in the Restaurant Osadía with the famous chef Carlo Von Mühlenbrock; who taught us to prepare some delicious ravioli. At LARM we are committed to continue to meet the needs of each client and continue working to provide the best service, as we have been doing for the last 20 years.